Although this owl mural was hand-painted in Dundas, Ontario, I sell adorable bird wallpaper murals that ship for FREE in Canada and the USA. They are super easy to hang and totally removable when you’re ready to re-decorate. Here are some pics of Kate’s owl mural to inspire you. 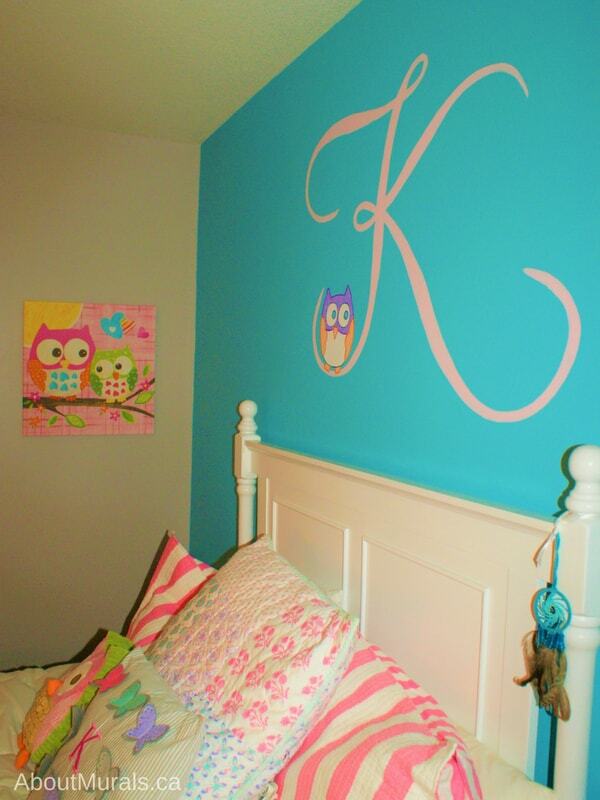 To help Kate settle into her new bedroom after moving, her parents had me paint an owl mural with a blush pink letter “K” for Kate. It looked gorgeous against the turquoise wall. Kate has a slight infatuation with owls. She has prints, throw pillows and even a backpack in the shape of owls. They were the inspiration for the owl mural. 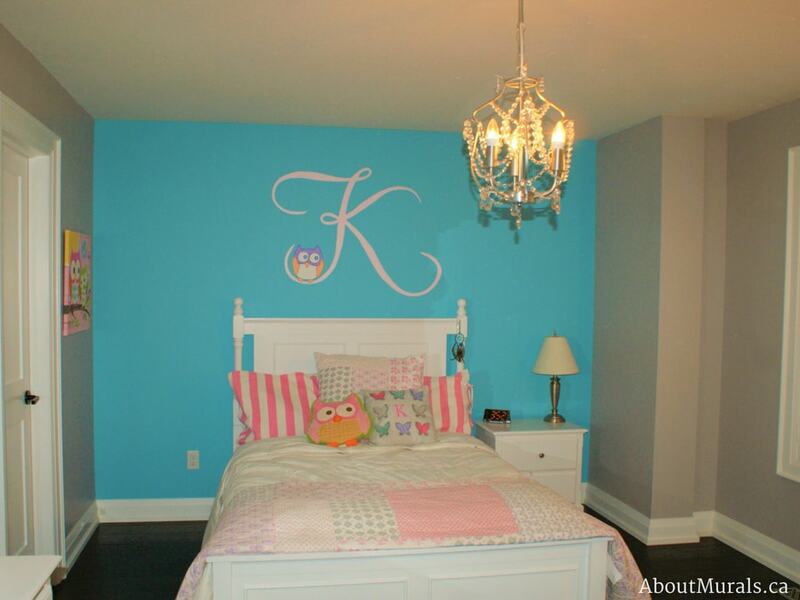 I paint all my murals with non-toxic acrylic paint and the walls are always painted with no-VOC latex paint (including the turquoise and grey walls), so it’s safe for your kids to sleep in the night the mural is painted. Wondering if we’re a good fit to work together? Here’s how we can! I’ve been painting wall murals from Toronto to Niagara Falls since 2005. I’ve even painted a mural for a Mike Holmes TV Show! Get in touch for a quote! Prices start at just $350. Shop for a Wallpaper Mural! Looking for more inspiration? Maybe a hot deal on a wallpaper mural? I’d love for you to join my newsletter community!